Damp Proofing – What Are the Different Types of Damp? Solving any damp issue in your house cannot commence without first identifying the cause. This is because different types of damp require a specific kind of treatment. Knowing what kind of damp problem you have is the key to effectively and quickly “curing” it. Condensation: This is the most common kind of damp issue. 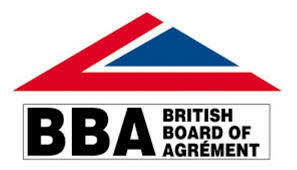 It is particularly prevalent in modern houses and those which had upgrades for standardised energy efficiency. Condensation occurs when warm air with water vapor gets cooled as it comes into contact with a cold surface like a wall or window. It may also get cooled as it loses heat because of the colder environment. This process results in the production of water which may appear on the surface. This type of damp problem promotes mould growth. This is why this issue can be a health hazard as mould poisoning or mycotoxicosis may happen. Condensation may also cause paint and wallpaper to peel. The top telltale sign of a condensation problem is the appearance of moulds. Other signs include the appearance of droplets of water on the affected surface and musty smell inside the room or on clothes and furniture. Rising damp: This is due to moisture or water rising from the ground (but not more than 36 inches above it) to the floor or walls. Oftentimes, tide marks are observed on the wall as well as white salts. This problem happens when a house does not have a damp proof course (DPC), a waterproof material meant to prevent moisture from rising through the walls. It could also be the case that the existing DPC on the property is already defective. It is only observed in basement floors and ground floor rooms. 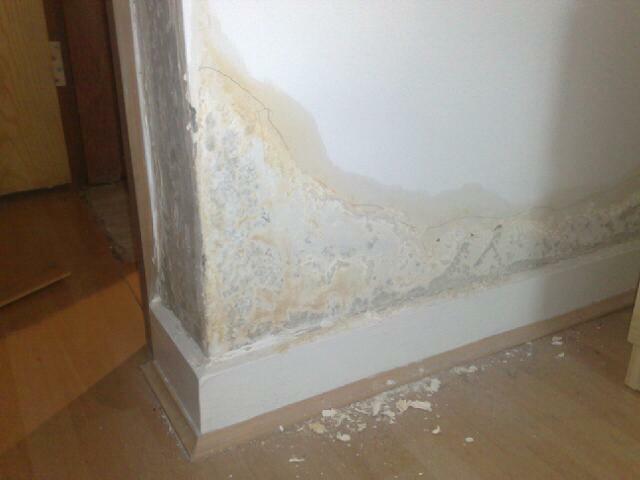 When left untreated, a rising damp can lead to wallpapers lifting or developing brown tide marks. Plasters may bubble and wooden floors may rot. Penetrating damp: Water from the external surfaces penetrates or enters the inner surfaces because of defects in the structure of the house. Some of the usual culprits include missing roof tiles and leaking gutters. Moisture that enters the inner surface has no escape route, thereby creating a noticeable damp patch on the affected area. The affected area may also appear wet with a brown stain outline and may feel damp when touched. The tide marks caused by this problem may stay even during the dry months. Just like in rising damp, penetrating damp may cause plasters to bubble and wallpapers to lift. It commonly affects external walls, ceilings and the ground floor level of the house. Damp from plumbing leaks: Over time, water and waste pipes may corrode or get damaged and leak. When this happens, a single damp patch may appear. If the leak isn’t fixed, the patch may grow bigger. Moreover, the patch will look and feel damp even when the warmer weather comes. Aside from a damp patch, water may be seen especially if the leak is near the surface. When not treated immediately, damp from plumbing leaks can cause floor boards and wooden joists to rot. This can be very dangerous as it may eventually lead to the structure collapsing. It is also highly likely for moulds to grow on affected areas. Admittedly, correctly identifying the type of damp present in a structure is not easy. It requires knowledge, experience and tools. Therefore, if you suspect that there is a damp problem in your house, it is best to call in an expert like a damp proofing specialist. With this professional’s help, you are assured that the problem is going to be correctly identified and the right treatment is going to be administered. Looking for a damp proofing specialist to identify and treat the damp problem in your house? Call us at 01 – 8417716 (telephone) or 086 – 7907555 (mobile) today.